Muzaffarabad city (June 19, 2018 Tuesday)- The Directorate of National savings of Pakistan have rescheduled the balloting results of Rs. 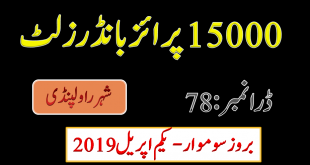 200 Prize bond on 19th June 2018 that were held to be one fifteen of June due to Eid ul fiter Public holiday in Pakistan announced by the Ministry of Interior. 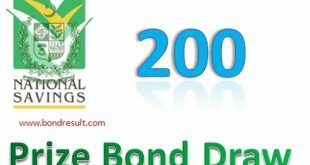 This is common draw serial on 200 Prize bond result 19th June 2018 with serial No.74 till so far. Due to the public holiday in Pakistan the Rs. 200 prize bond balloting is late and now will he held on 19th June 2018 Tuesday with same pattern like previous draws of Pakistan. This Prize bond 200 draw No.74 have 750K pkr first prize that will be given to only one lucky winner of this draw. The 2nd prize amount of Rs. 200 Prize bond 19/6/18 is 250k pkr that have 5 prizes and will be distributed to five lucky winners. The first and 2nd prize amount are very good and enough and are look like that is a great lottery scheme. The third prize amount is 1250 pkr that will be given to 2394 lucky winners and this can all be drawn from state bank of Pakistan any time when you are free with the limit of 6 years range from the draw. 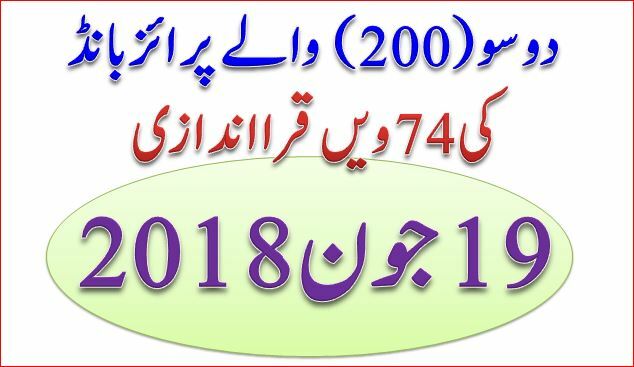 According to the information the 200 prize bond results have been announced on 19.06.2018 by savings.gov.pk in Muzaffar abad city. And yeh draw no. 74th hai. The complete prize winning numbers will be updated soon here.